Dawn Jorgensen is a travel writer and photographer based in Cape Town. Her travel blog, The Incidental Tourist, has acquired a huge following in Cape Town and around the world, and she recently spearheaded the first Travel Massive meet up in Cape Town as part of a global initiative to connect people in the travel industry locally, bringing together travel brands, travel startups, and travel bloggers and travel professionals. 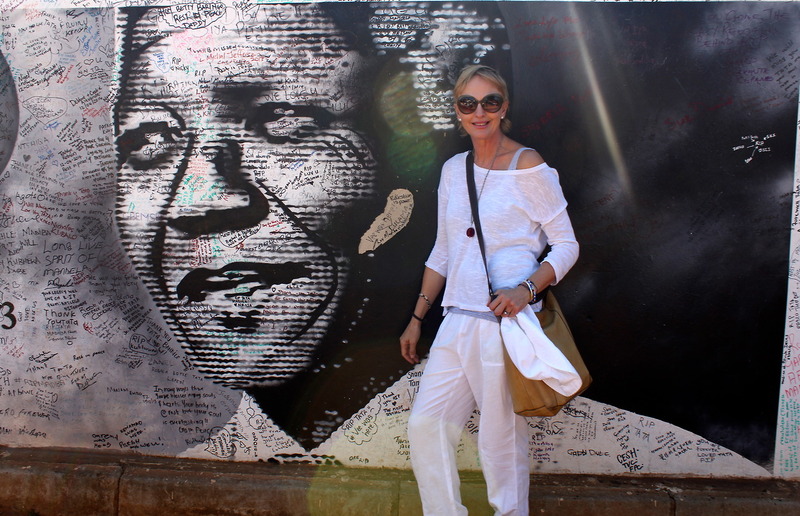 Dawn has spent a great deal of time traveling throughout South Africa and the continent, with trips to Kenya, Tanzania, Namibia, Botswana, Zimbabwe, Zambia, and Madagascar. She sat down with Our Future Cities and shared her perspective on Cape Town as an “African” city and why she is proud to call it her home. Question: What is your favorite city and why? Answer: I know I am only meant to have one favorite, but I love so many cities, especially African cities. If I can go anywhere in the world, I would choose an African destination. Last February, I was in Kampala, the capital of Uganda, and we hired a guide on a motorbike. We toured the city from 9 am to 6 pm, all on a bike, going to ten different places throughout the city. We rode through the streets and the markets. I get this sense that in African cities, you are not shielded from anything, you just get the best and the worst sounds and smells and experiences, and its all just out there. There is also this kind of organized chaos, where everything works and it works so well, and the taxi rank has got hundreds of taxis and they all have purpose and structure, and even though I don’t understand it, somehow it all works. Q: Many people say that Cape Town is not an “African” city. Do you agree or disagree? A: I think Cape Town is very cosmopolitan, but it depends on how you navigate the city. There is an African quality to the city, but a lot of people decide to protect themselves from that. If you want to feel the African flavor of Cape Town, go downtown, walk the streets, mix in different areas, and don’t just hug the Atlantic Seaboard. Go into the coffee shops, go into the Bo Kaap and taste Cape Malay food. There is so much to do here, and a lot of it is free. It’s the same as when you travel somewhere as a tourist: you can have a superficial glossed over experience, or you can get to the core and soul of your destination. Q: How do you think people could be encouraged to experience other parts of the city? A: Take a look at Cape Town over the last ten years and the way that Capetonians have taken back downtown or the CBD. Cape Town has really become a city that you can explore by foot. Today I can walk from my studio in Vredehok, down Long Street, to the Waterfront and I feel totally safe to do that. But one has to make the effort to not just take the car out and drive from the Southern Suburbs to the Waterfront. Q: Would you recommend guided tours for Capetonians who want to explore other neighborhoods? A: Absolutely. For example, although township tours unfortunately have not always been done with the correct philosophy, there are community projects emerging there that can guide you on your visit. There are tours to Langa that can take you to the art galleries there, and the winery, where individual women are given vines to grow in the gardens so that they can contribute to the business. There are amazing micro businesses and initiatives everywhere you go in Cape Town, and I completely advocate being a tourist in your own city. But I also believe that it can be hard for tour guides to portray information in just a few hours, which is why I think that travel bloggers play such an important role. They can bring different aspects of the city to life from a personal perspective, and can introduce you to places that you may not have thought of visiting before, even in your own city. Q: After having traveled to cities all over the world, what do you think Cape Town could learn from other urban areas? A: I think that Cape Town really needs good and extensive public transport. For me, I love being able to go to a city where I don’t need a car. In London, you can walk out of your hotel, and go anywhere using solely public transport. What Cape Town is doing with the My Citi bus is making a huge difference, but I think we still have a long way to go. Q: What do you love about Cape Town? A: In Cape Town, we are spoilt by our connection with nature. Even when we navigate, we give directions along the mountain, behind the mountain over the mountain, along the coast. We are always in touch with nature even though we are in a city. Cape Town really is amazing in this way, and there is no other place in the world where I would rather live. My love of the people and places of this city are also completely intertwined. I find that the places that I end up spending time in are all about people fulfilling their dreams and following their passions. I will drive all the way out to Tribe Coffee in Woodstock, just because I love the people. Maybe its people who have given up their corporate jobs to follow their dream, such as roasting coffee, or sourcing ethically produced meat, or make a business out of producing artisanal chocolate. That is where my favorite spaces are in Cape Town, where you can find these individuals, and their stories. You can read more about Dawn’s travels here. Writer from New York with a passion for all things urban.